part of the joy they bring. 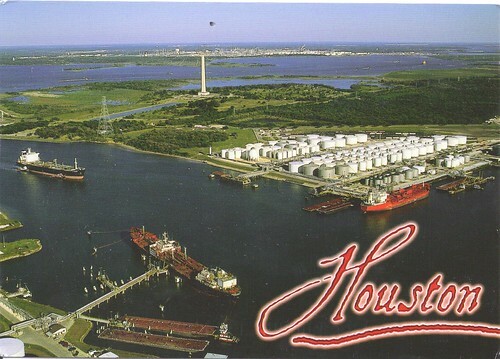 Nancy from the Netherlands sent me this wonderful letter and enclosed the cutest postcards! 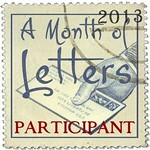 I love making new friends through letters! Nightviews are still one of my favorite types of tourist cards to receive, this one of the St. Louis Skyline and Eads Bridge is beautiful. 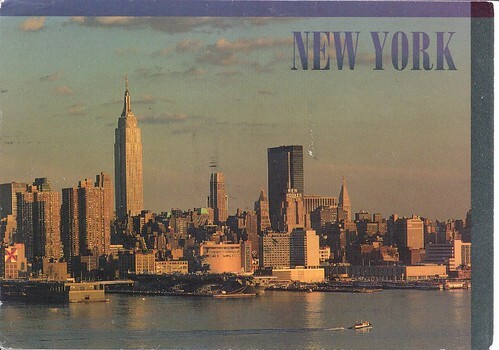 This New York city skyline shows Mid Manhattan from the Hudson River with the Empire State Building in the background. 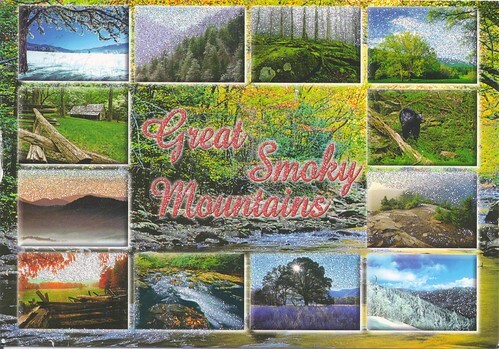 Beautiful Great Smoky Mountains in Tennessee. I remember being on a road trip and driving through the Smoky Mountains, it's the kind of countryside that takes your breath away. A memory I will cherish forever. ohh the postcards of the first photo are sooo cool!! :D I love the owl! 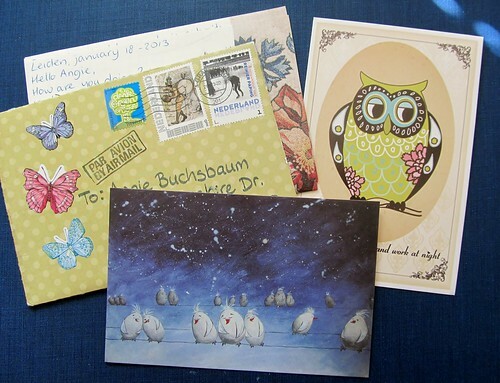 Nice letter and very cute postcards, especially the owl. 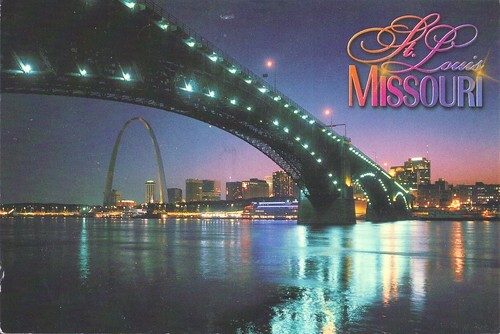 I love the St. Louis postcard too. It's one of the best I've seen from that city. You got , again, great cards!